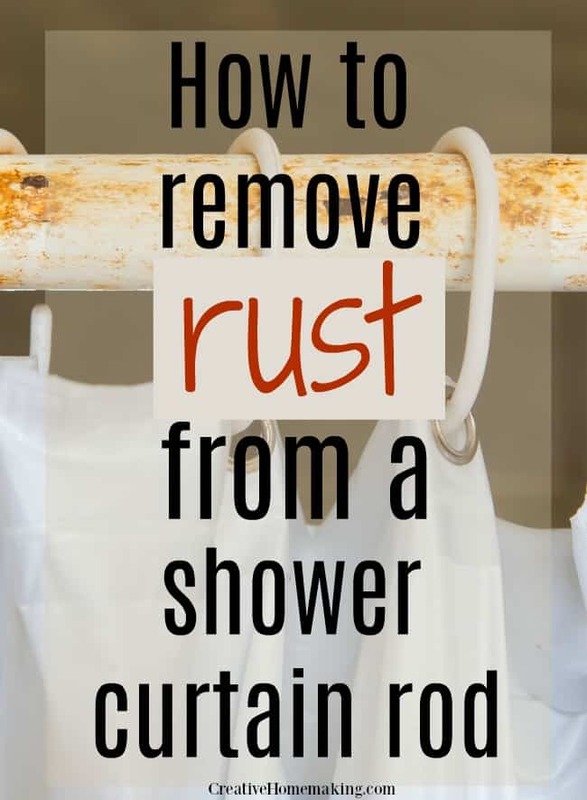 February 11, 2019 0 comments on "How to Remove Rust from a Shower Rod"
One of the questions our readers often ask is how to remove rust from a bathroom shower curtain rod. It turns out there are several ways to remove this rust. Give this simple solution a try. It’s very common for shower curtain rods to get rusty. The constant moisture in the bathroom is a breeding ground for both mold and rust in your bathroom. First wipe the shower rod with a damp towel to remove any soap or dirt. Cut a piece of aluminum foil into several small pieces and dip the pieces of foil into white vinegar. Gently scrub the shower rod with a piece of aluminum foil treated with the vinegar. As you scrub you should start seeing the rust disappear before your very eyes. If you don’t have any aluminum foil on hand you can also use steel wool dipped in white vinegar, and this should also do the trick. After you have removed the rust from your shower curtain rod, there is a nifty cleaning trick for preventing the rust from returning! When the curtain rod is all clean and dry after scrubbing it with the aluminum foil and vinegar, apply a coating of car wax to the curtain rod. This will keep rust from building up on it in the future. 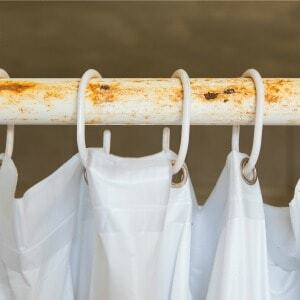 You can also use the aluminum foil and vinegar method to clean rusty metal shower curtain hooks. You might as well clean them up while you are cleaning your shower curtain rod. If you apply a coating of car wax to your shower curtain hooks this will also keep them from getting rusty. If cleaning your rusty shower curtain rod ends up being too much of a chore, you can purchase fairly inexpensive stainless steel shower curtain rods from Amazon that are guaranteed to never rust.